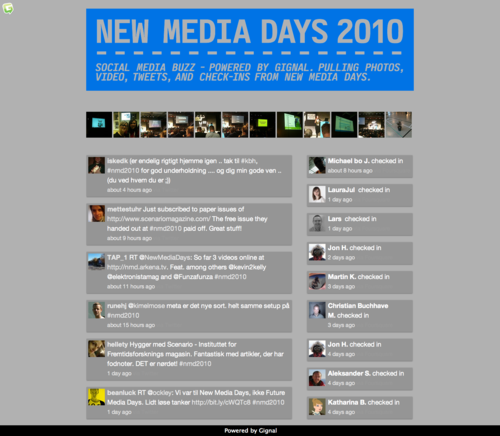 We launched Gignal in closed Beta at New Media Days on November 9-10, 2010. 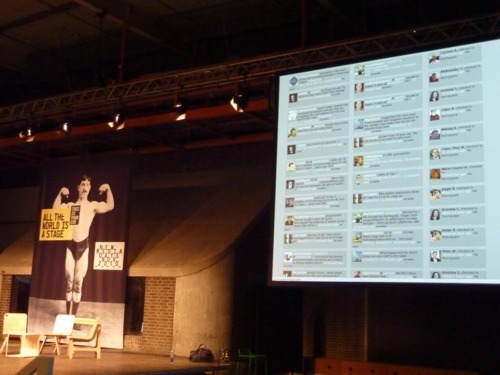 800 participants, 2 days, 3 locations - all around and about New Media. This was an excellent case to launch since we had the opportunity to present and aggregate from more locations, all the social services that we support, on physical screens at the event, on Gignal's site and through our widget on New Media Days website with their custom design. New Media Days Testimonial. 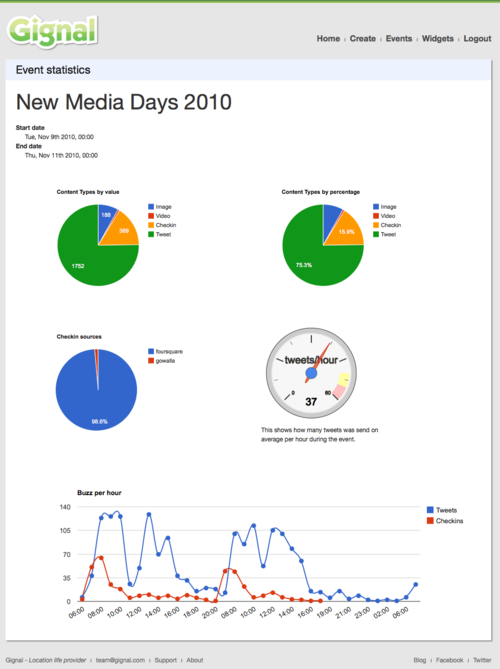 For New Media Days Gignal was far the best way of visualizing a combination of social media services. It was an easy way to keep track on how the audience felt about the speakers, the food, the venue - and prevent problems, making sure our audience had a great time. At the same time our audience and people watching from home, could stay on top of the information flow - knowing what the fuzz was about at every single stage. 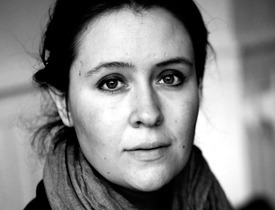 - Didde Elnif, Head of New Media Days. New Media Days online stream, featuring check-ins, tweets, photos and video. Making a Mentorship site I better throw in my opinion of the difference between mentoring and coaching. Scientific research has not come up with a precise answer, so should I? The clear difference from my point of view is that coaches base their conversation on questions intended for the coachee to answer. Mentors will most likely ask good questions to, but they will probably spice it up with their experience, advice and introduction to their network. So when to choose what. I have a degree in coaching, and I have tried both. I found coaching excellent for inner development such as overcoming stress. While mentoring has been ideal for professional development, and when I had a clear goal but needed experienced guidance, constructive challenge and hints on who to contact. The mentor does not necessarily need to be a precise match, but rather have a significant angle. And expect the same aspects as in life. Good chemistry is essential. Both parties must give ongoing feedback - to know your value and in order to improve. What did I do that worked, what should I do more etc. Without feedback the relationship will most likely die out. Coaching and mentoring are generic. Mentors can benefit from the questioning techniques coaches use, in order to make the protégé think - not necessarily answer. But what makes mentoring amazing is that it is a relationship based on a non profit interest. The mentor will experience as much reflection as the protégé i.e. give and take. Finally this relationship can and will often become one of the most significant relationships we experience in life. Most of us remember a person that had significant influence in your life, being an extraordinary by listening, being present, respecting us, this character is often a teacher or family member. This is what Mentory can do for you, finding a mentor with these personal skills that matches our stage in life, making us grow - who can ask for more in a mentor. Do our users understand this feature, does it look cool, how do you translate Dashboard to Danish, have you solved the bugs - This is just a part of the conversation Jacob and I had Sunday night i.e. launch night. You never ever get finished - and if you do, your service is probably obsolete. With that in mind I am proud to present - Mentory.com! Almost 2 years of work has come to an end - or rather a beginning. From getting the idea, defining the concept, designing the user interface and developing the website, we are finally ready to welcome our users. Our ideology is user oriented, because without our users we are nothing. We have had 2 iterations of user tests and we have learned so much every time. We know our baby to well to judge it, so your opinion is necessary. My hope is to facilitate as many mentorships as possible, in order give everyone the chance to have a role model, that can help them achieve their goals. And the greatest gift is in fact to give. We hope our future mentors will experience the side effect of engaging others - you can not avoid to grow as well. But as I started out stating, this is the beginning. We are in phase one, a lot of features are in line - just waiting for you to demand them and give us feedback on future development ideas. But the most important feature is content, and that can only be created by You! so get on board - the more the merrier. I am really proud finally to share and show my passion, but the creation of Mentory was only made possible thanks to a great teamwork with my husband Jacob, who has worked day and night to make this happen. And all the great feedback from our test users, which we hope to get so much more of. So this is it - hope you can use Webcom Labs firstborn service, to cultivate your potential! We welcome you to Mentory - your participation our passion.